Spectacular views from high atop Mt. Palomar. 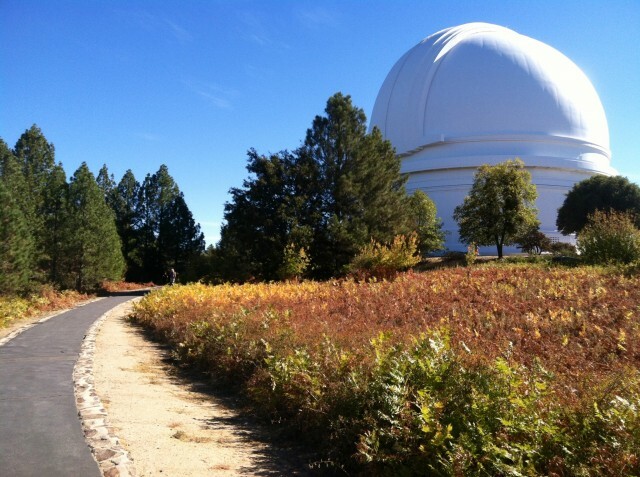 Palomar Observatory amongst the changing leaves. The drive there was half the fun. Take Highway 78 east from Ramona – where you’ll pass some excellent local wineries offering tastings – then fuel up with a quick bite of scrumptious apple pie at Dudley’s Bakery in Santa Ysabel. 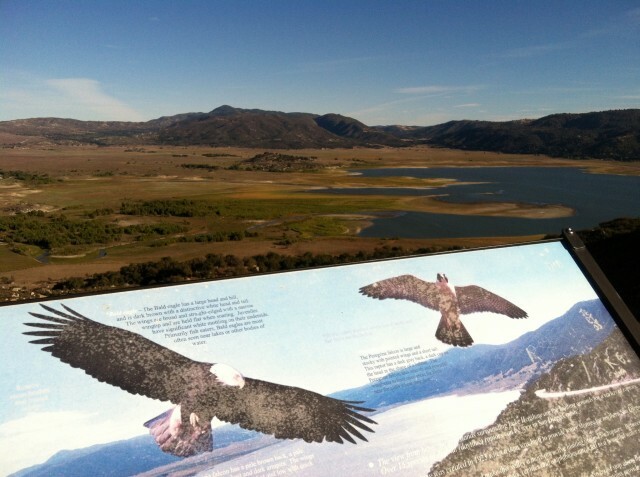 Just past the bakery, head north on Highway 79, then west on Highway 76 toward Lake Henshaw. After La Jolla Indian Reservation, turn right on South Grade Rd./S6 which begins a wonderfully winding adventure up Mt. Palomar with panoramic overlooks at every turn. You can see as far as the Pacific! 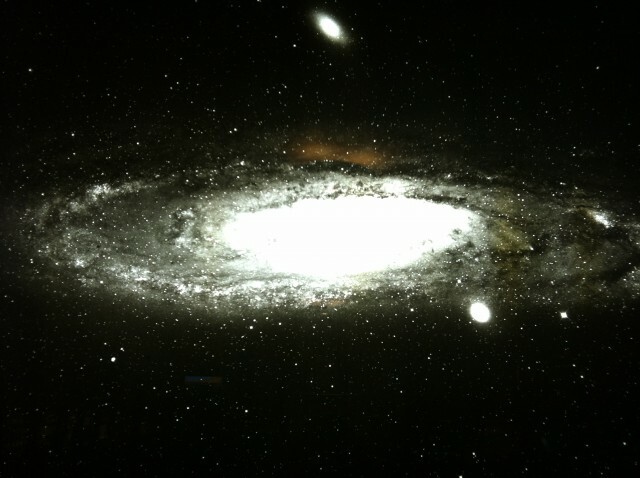 Andromeda galaxy at the Palomar Observatory museum. Seeing the observatory’s giant Art Deco-style white dome for the first time is jaw-dropping! Inside, a colossal 7-story Hale Telescope points toward the heavens. Tours are available Saturdays/Sundays at 11:00 AM and 1:30 PM at the low price of $5 for adults, $3 for seniors and children under 12 are free. Be sure to explore the free museum, spotlighting Palomar’s stellar discoveries, including the first brown dwarf and a planetoid called Sedna. My favorite cosmic find was a massive photo (above) of the twinkling Andromeda galaxy gracing the back wall. Palomar Observatory houses the 8th largest telescope in the U.S. and weighing in at 14 ½ tons, the telescope’s main mirror is one of the heaviest pieces of glass in the world! 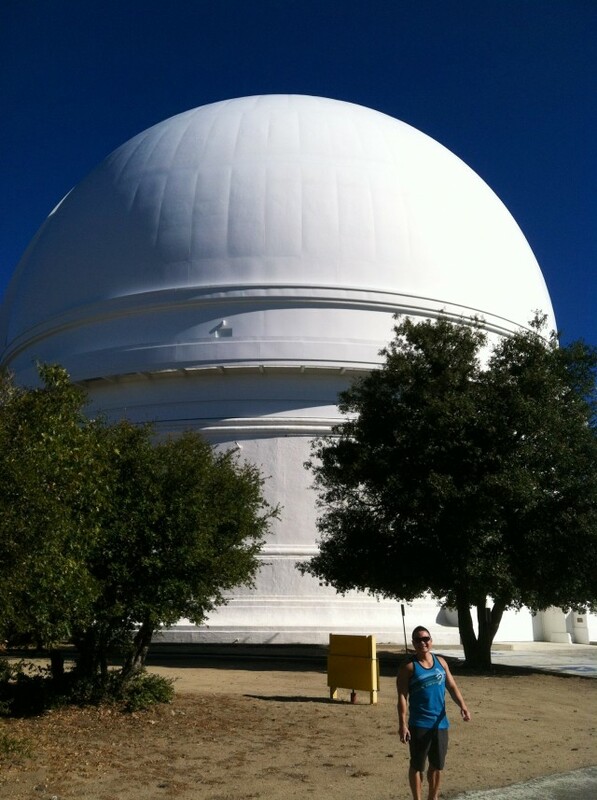 Have you been to the Palomar Observatory? What was your favorite thing there? Let me and others know in the comments below. Ever wanted to know what it would be like to walk through the wondrous world of a Dr. Seuss book, with all of its quirky colorful shapes and landscapes? 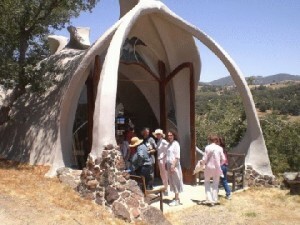 Well now you can at the Open House of the James Hubbell House and Studios in the East County community of Santa Ysabel (near Julian) on Father’s Day, June 19. 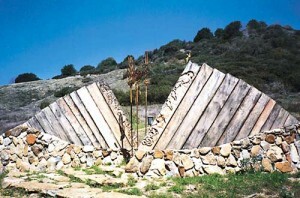 In addition to eight fantastical structures at his 40-acre artists complex, Hubbell has a few other stunning sculptural works sprinkled throughout San Diego County. Big/Main Studio at the Hubble House. Notice it’s resemblance to whale bones! Big Studio at Hubbell House and Studios. Boy’s House at Hubble House and Studios. 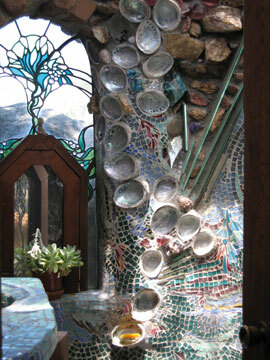 This one is especially playful with its pools of colorful glass and mosaic tile flowing throughout. Boy's House, Hubbel House and Studios. Volcan Mountain Preserve entrance gate and sculpture in Julian. There’s something kind of sci-fi about this piece, like a space portal into nature! 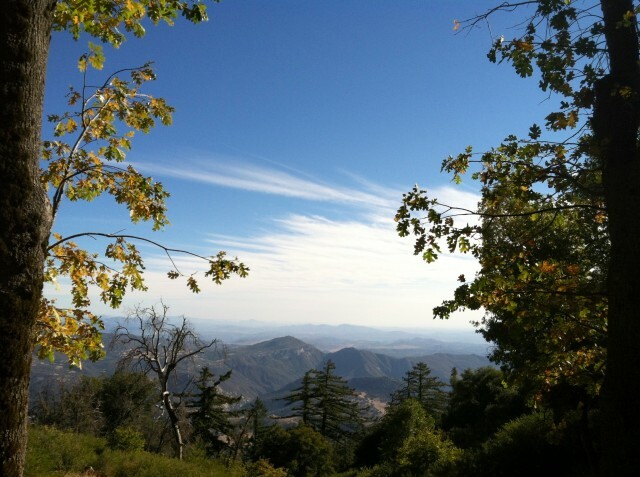 Beam me up, to Volcan Mountain! Sea Passage fountain and sculpture on Glorietta Bay in Coronado. This piece is very San Diego and fits perfectly with the beachy island vibe of Coronado. Hang 10 at Coronado's Sea Passage! 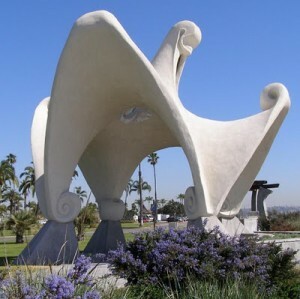 Pacific Portal sculpture on Shelter Island, San Diego Bay. I collect seashells, and if I could I’d pocket this one! OK never mind, it’s kind of ginormous. 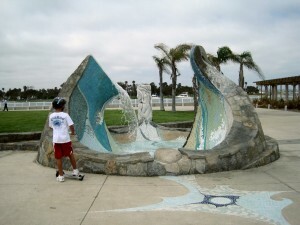 Giant Pacific Portal seashell-like sculpture. Oh, and for you history buffs, Hubbell did a life-size clay sculpture of Father Junipero Serra in front of Mission San Diego de Alcala – California’s first mission – in Mission Valley. Talk about prolific! I’m checking out the Hubbell House & Studios open house on my way back from a weekend staycation in Borrego Springs – can’t wait! I’ll be sure to take lots of photos and share them with you later this month.